As AFL-CIO affiliates, the Union representing ICE Agents has been excluded by AFL-CIO President Richard Trumka and his top advisors and prohibited from participating in the development of immigration policy within the AFL-CIO as well as with lawmakers and the Administration. 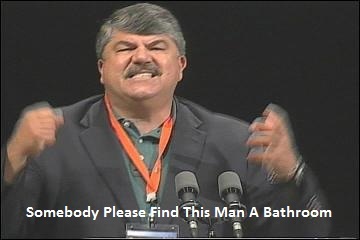 Regarding comments made by both Trumka and President Obama on defending workers and their rights, ICE Agents say they won’t be entrusting AFL-CIO President Trumka to speak on their behalf during comprehensive immigration reform talks. Citing a February White House meeting between top Obama advisor Cecilia Munoz and Union Presidents representing approximately 50,000 unionized federal law enforcement officers, ICE Agents state that Trumka simply didn’t come through for their workers in their time of need, and continues to ignore the workplace issues they face.